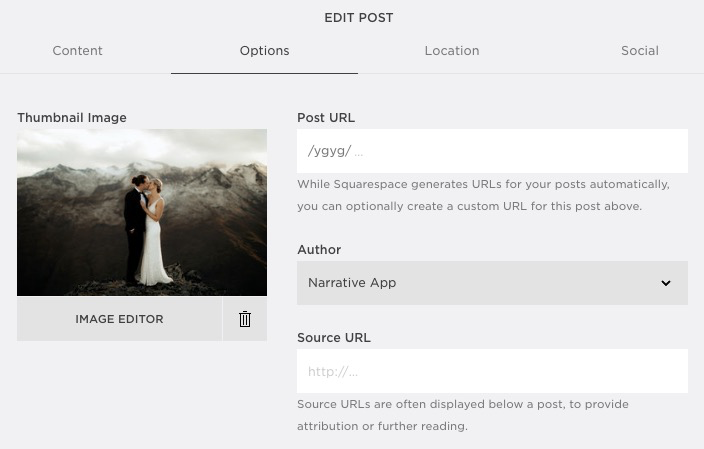 What to do when the preview text shows "Your Narrative post will display here"
Some Squarespace themes fail to show the correct preview text when sharing your Narrative post on Facebook. You will need to input these details manually. Open the post you would like to edit. 4. Follow the instructions below to refresh Facebooks preview of your post. Please note: we are building a solution to automate this process within Narrative. It will be here shortly! 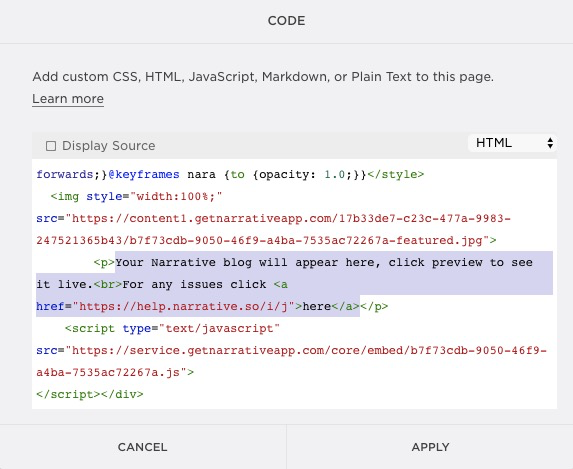 If you have already pasted your blog URL into Facebook then it will have cached the image or text already. Please follow the instructions below to reset the Cache. For any other issues please contact our support team.